Tallulah: Hey, Sissy. 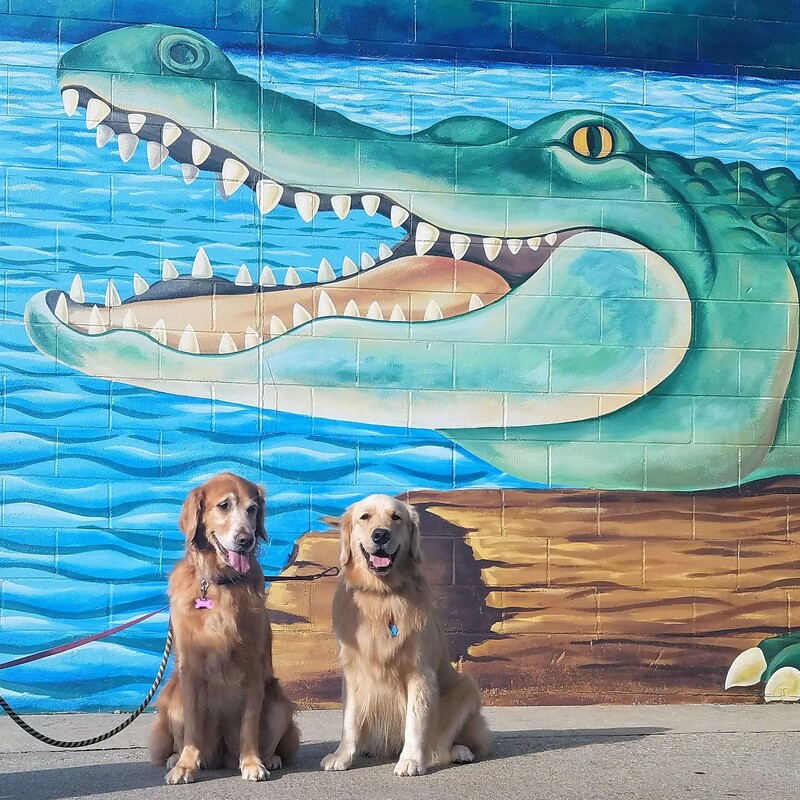 Don’t turn around, but I think there’s a giant alligator behind us. Harper Lee: He has some pretty big teeth doesn’t he, Bubba? Tallulah: You don’t think he’s going to eat us, do you? 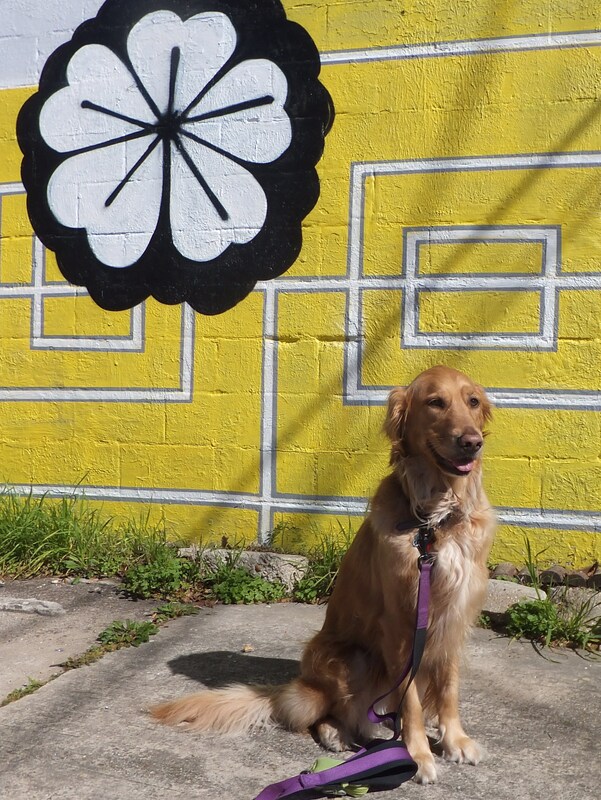 Harper Lee: He does kind of look like he’s ready for a tasty Golden treat. 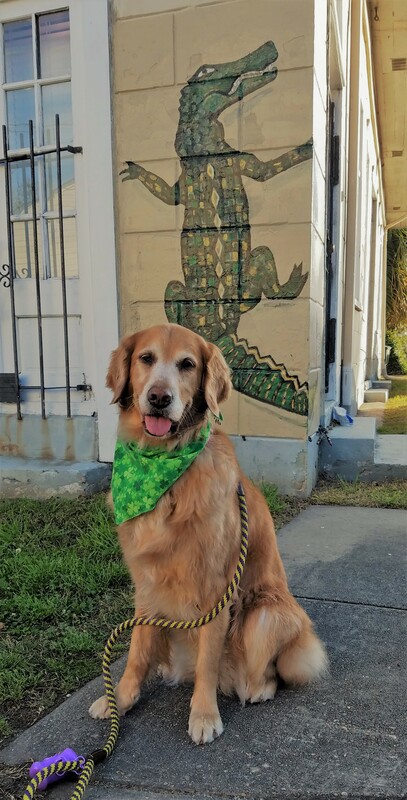 Final Update on Nate: Speaking of a nice treat, Hurricane Nate came and went last night and left us with a glorious morning for our daily walk. The storm passed just to our east. The mayor lifted our 7 p.m. curfew less than two hours after it started. And, best of all, we never lost power. We had a bit of wind and rain, but nothing compared to what those in Nate’s direct path saw. Here’s hoping that this year’s hurricane season has had its last hurrah. This one has been brutal and Tallulah and I say enough is enough. We need more treats and fewer tricks from Mother Nature. Wishing you clear skies in the week to come! Isn’t it wonderful when humans take something perfectly ordinary and make it amazingly extraordinary? Like when they dip your plain old dog treat in some yummy canned food? Or when they drop ice cubes in your water bowl? My human mommy/blogging assistant and I walk every morning. I’m a creature of habit, so we usually take the same two or three basic routes. It gets a little boring for Mommy. Not for me, you understand, because the smells are always different, always enlightening, and always fabulous. But Mommy’s sense of smell isn’t quite as advanced as mine. Therefore, we’re always on the lookout for something extraordinary on our ordinary daily walks. 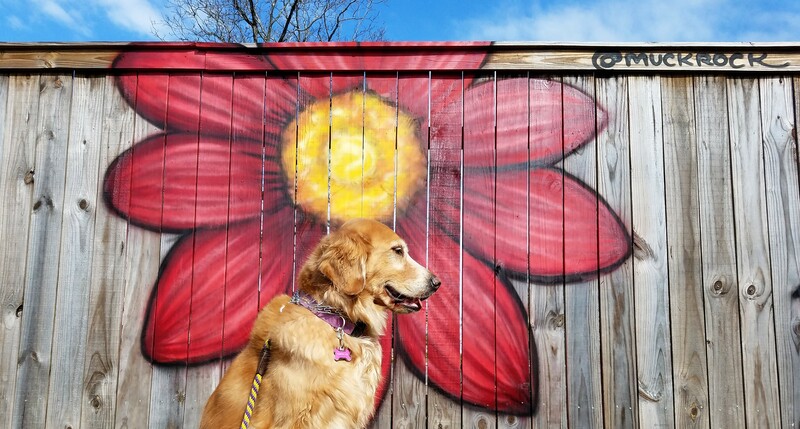 We recently found a couple of fancy fences in our neighborhood. How wonderful that our neighbors have taken the time to transform something so very ordinary into something extraordinary for us to enjoy. So, as we enter the long holiday weekend, I hope you’ll take the time to look for the extraordinary in all the ordinary around you . . . and let me know what you find. Cheers! Wordless Wednesday: See Ya Later . . . Thank you to our friends at BlogPaws for hosting the Wordless Wednesday blog hop. My neighborhood grocery store is pretty special. It’s real name is Breaux Mart, but my humans call it The Bro. 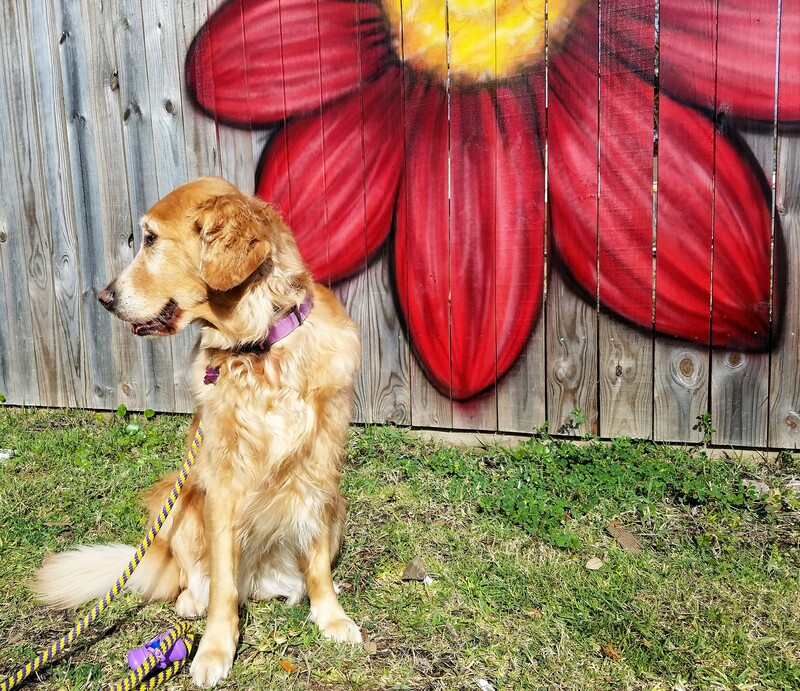 Although I’ve never been inside, I have spent quite a bit of time outside–either waiting with one of my humans while the other runs in to pick something up or strolling around the outside on one of my daily walks. I’ve always loved this mural on the downtown side of the building. (I know that in most cities people give directions as east, west, north, and south. But in New Orleans we say downtown, uptown, river side, and lake side . . . mostly because nothing’s quite straight around here.) The mural was painted by Max Bernardi. You can click here to read more about Ms. Bernardi and to see video of her discussing the swamp-scene mural. 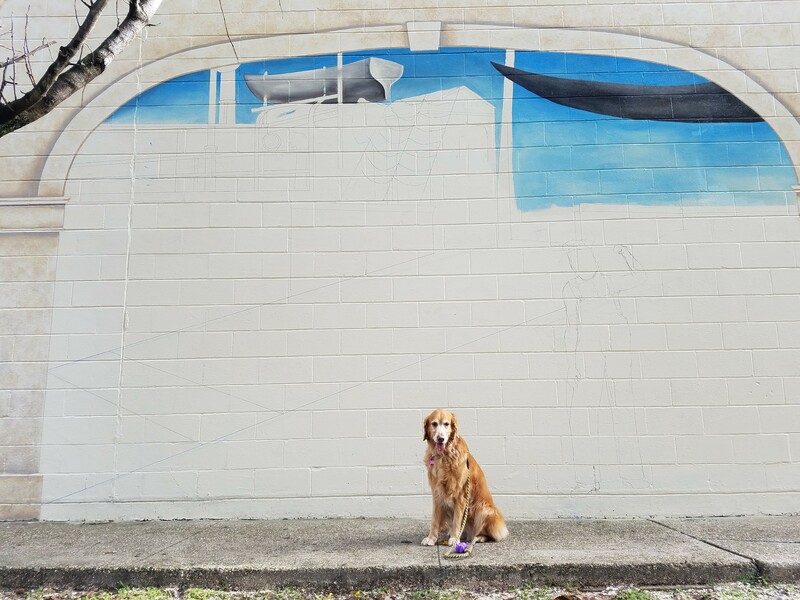 We were thrilled to discover that Ms. Bernardi is painting another mural on the opposite (or uptown) side of The Bro. I’m so excited to share photos of this new work of art in progress. There are six sections running along the wall. The top photo was taken the first week in January and the bottom photo is from the first week in March. Don’t you just love seeing the progress? I almost feel as if I’m on the street with those turkeys. I also feel as if I have to tell you that it was much cooler when we took pictures in January than it was the day we took them in March; but I still think I look pretty good comparing my profile to that horse’s profile. These last two sections have a bit more to be done. We’ll follow the progress on our walks to and from The Bro, and I’ll be sure to show you the finished product. My hometown of Baton Rouge, Louisiana, is also home to swamp blues, a genre of music that gained popularity in the 1950s and inspired musicians like the Beatles, the Rolling Stones, and Eric Clapton. 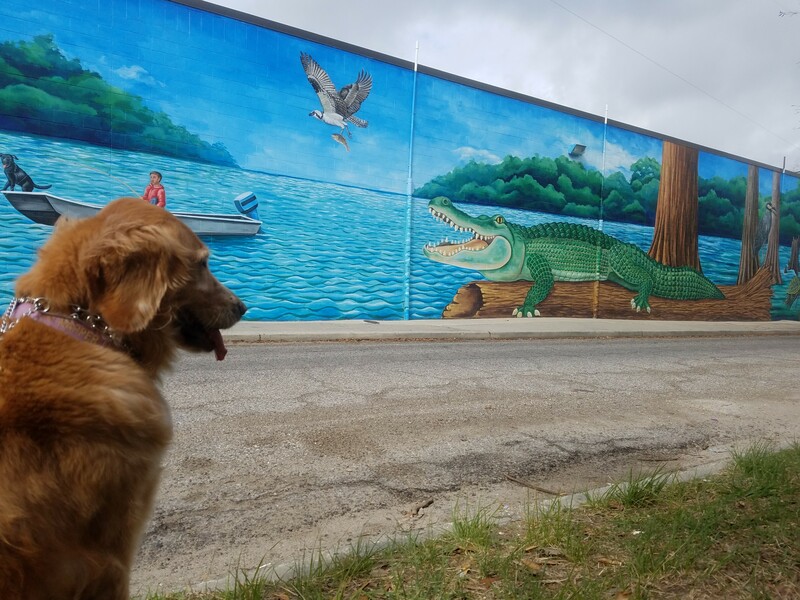 This mural is just a few miles from my house. It was painted by local artist Charles Barbier and pays homage to a number of area blues musicians and blues venues. 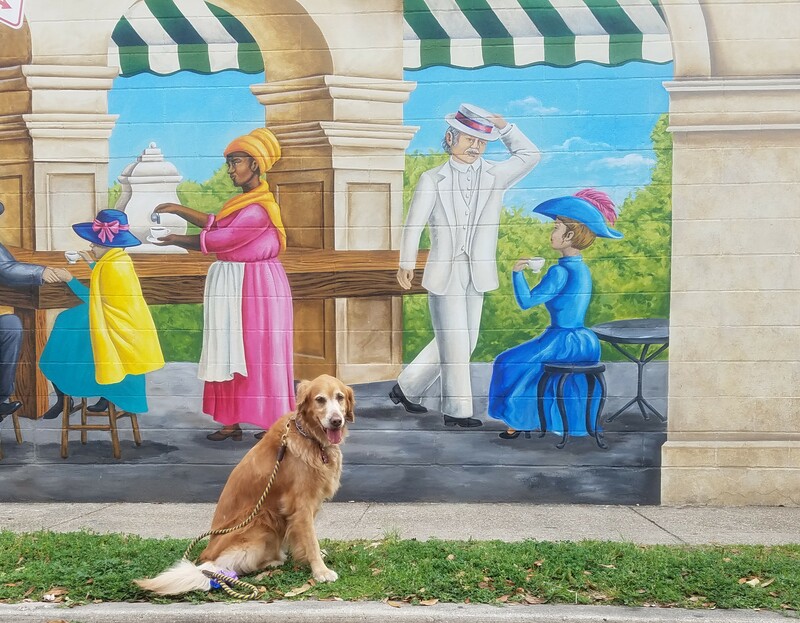 My human mommy and I visited the mural on a cold and drizzly morning, which I suppose is entirely appropriate for the blues. 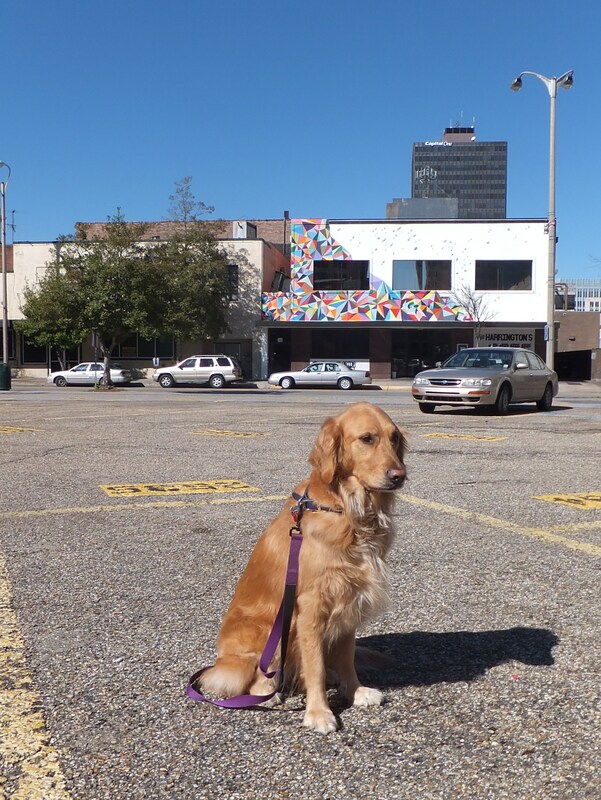 The mural was made possible through a partnership with the Walls Project, Mid City Redevelopment Project, and Cash America Pawn, owners of the wall on which it’s painted. 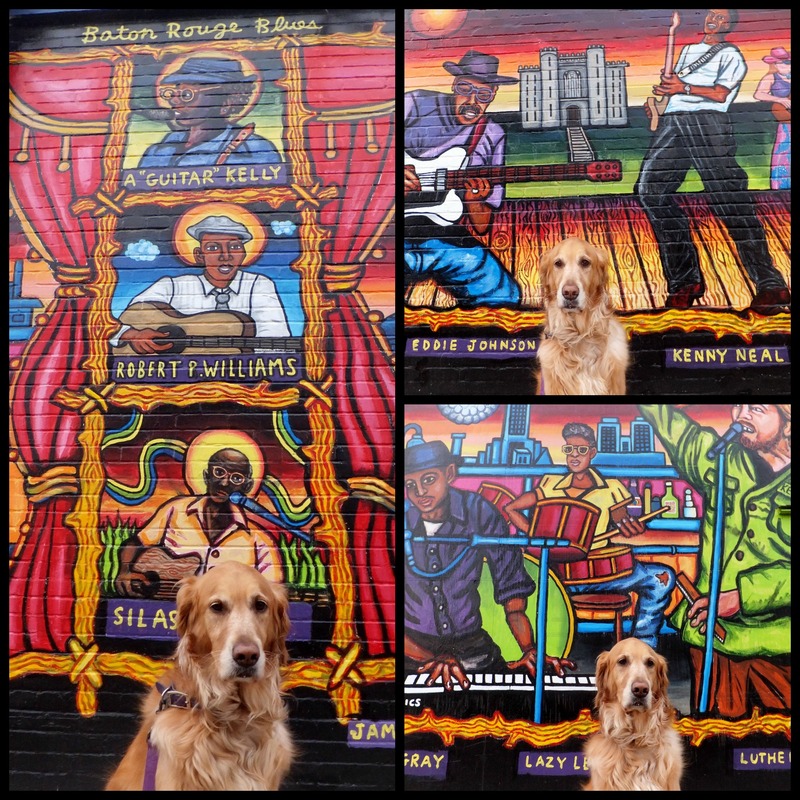 A mural celebrating blues music and musicians on the side of a pawn shop . . . I guess that seems entirely appropriate, too. 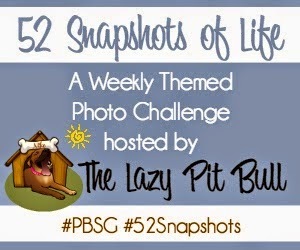 Today I’m linking up with The Lazy Pitbull for the 52 Snapshots of Life photo challenge. 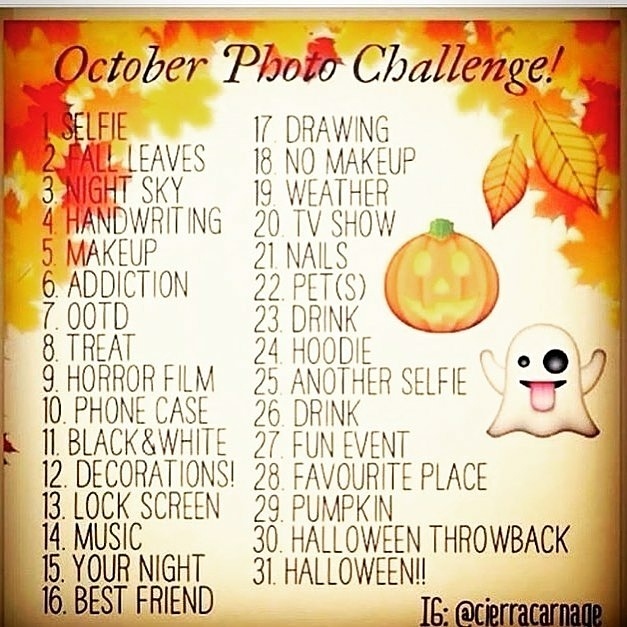 Click the link below to join the fun and visit the other participants! That’s right. My human mommy/blogging assistant is still away. I wonder if she’s forgotten about me. Never! She’ll be back, but until then I think we should revisit some of the beautiful public art in my hometown. I sure wish we could revisit the beautiful winter day when we went to these sites. It’s getting a little hot in South Louisiana. 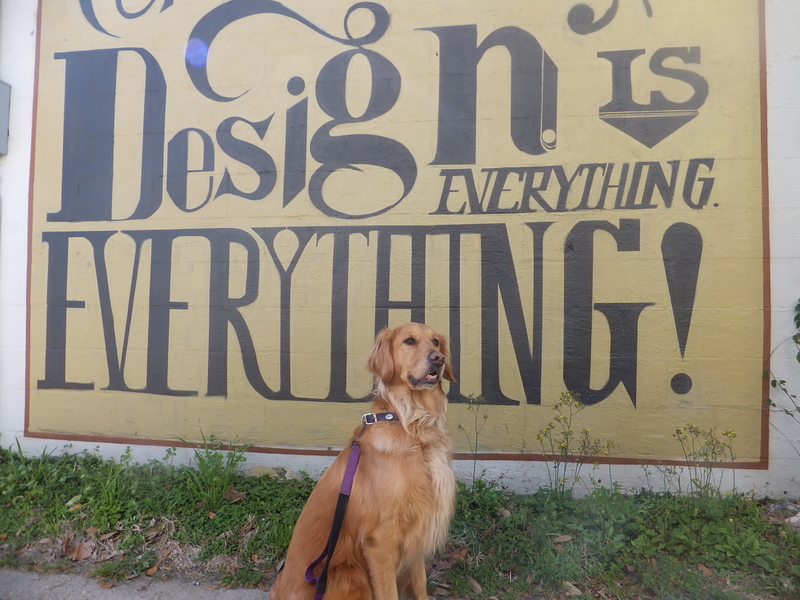 Anyway, Mommy says that a lot of new wall art has popped up since this blog post first appeared and that we’re going to show it to you soon. I think a cool autumn day will be soon enough . 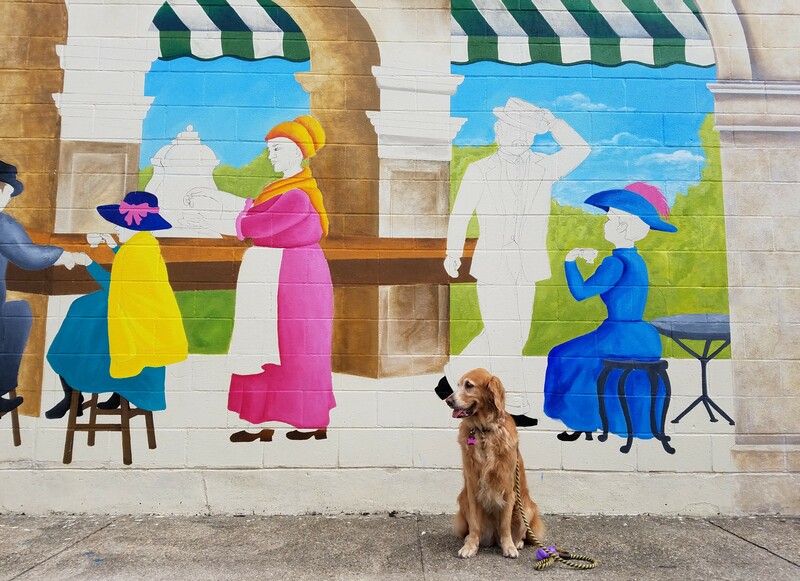 . .
Last weekend my humans and I set out in search of Baton Rouge wall art–literally, murals that have been created on exterior walls. Boy did we find a lot of it. 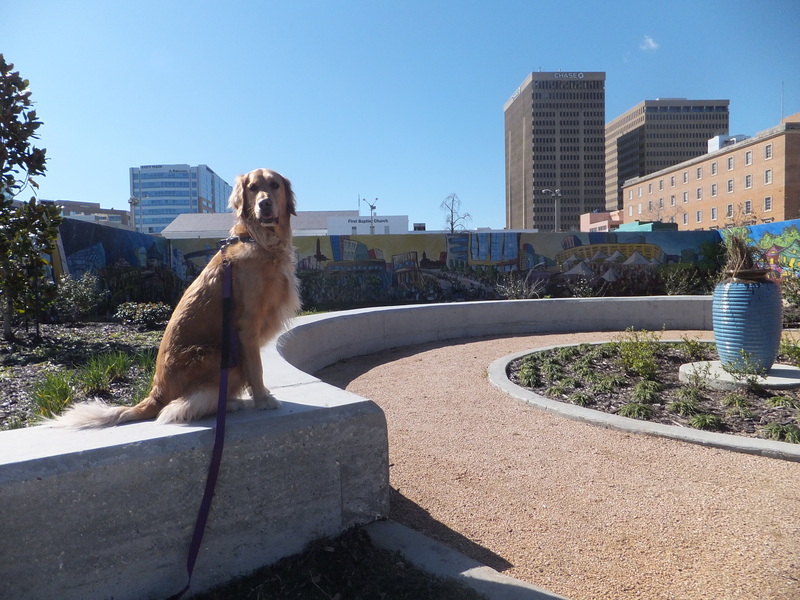 My human mommy was inspired by a news story about one of our newest BREC parks, Convention Street Park, which was dedicated late last year. 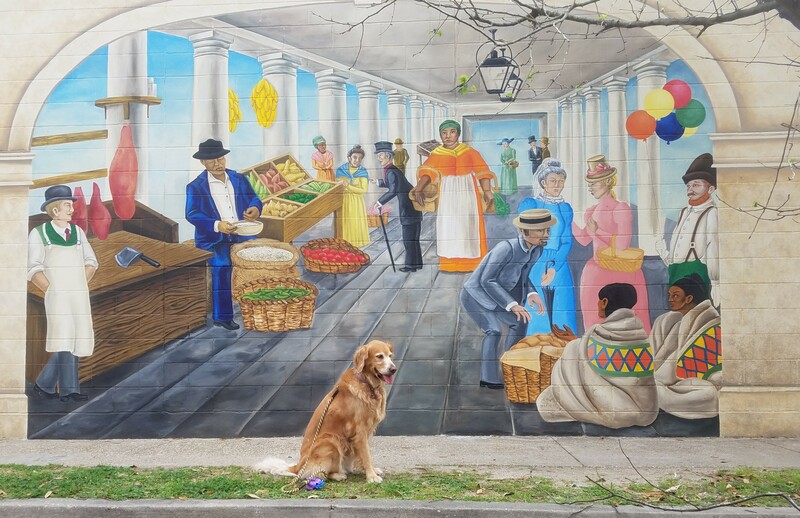 The downtown park includes a 90-foot mural (technically, it is a mobile mural because it’s on canvas and attached to a wall). 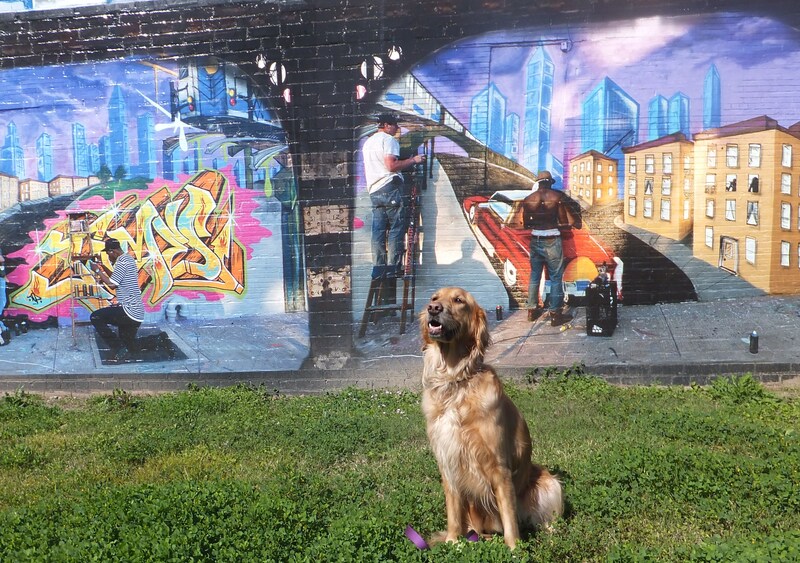 The mural was painted by artists Alex Harvie and T.J. Black as part of the BR Walls Project. 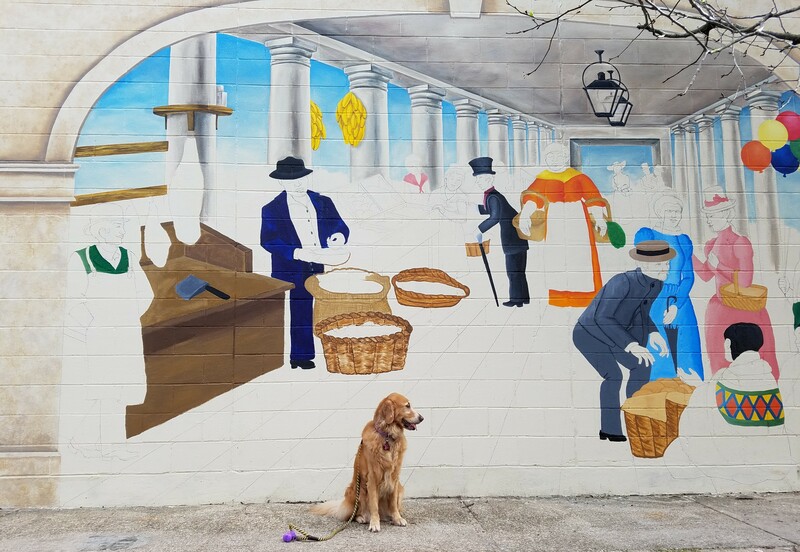 This section depicts a downtown neighborhood called Spanish Town, the oldest neighborhood in Baton Rouge, which is famous for its Spanish Town Mardi Gras parade and ball . . . and pink flamingos. It’s a long story. I don’t know about you, but I think I look pretty good flanked by two pink flamingos. 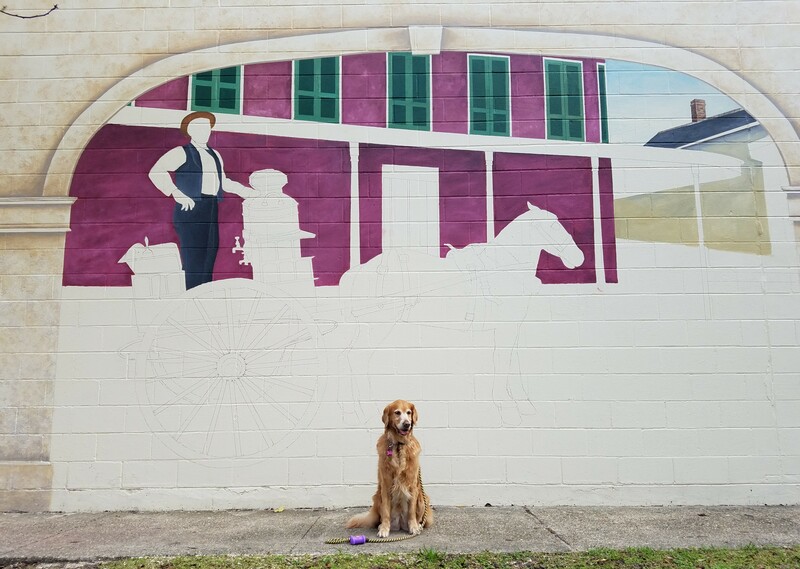 We stopped at two other BR Walls Project murals while we were downtown. The one above was painted by Joseph Konert on the outside of Harrington’s Cafe. It blends the grace of a swarm of butterflies and the expansive calm of the aurora borealis (you just have to trust me on that, or you can click here for a link to the BR Walls Project to see close-up photographs). 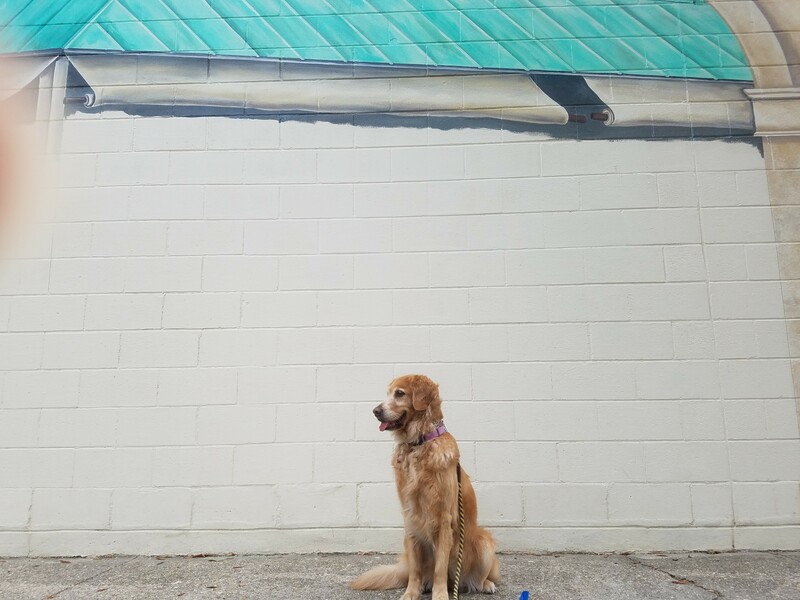 This one was painted by artists Saliha Staib and Clark Derbes on an exterior wall of a building that houses the McGlynn, Glisson & Mouton, LLP law firm. It’s called “Cinq Umbre” and consists of multi-colored quadrangles. I think it even manages to make a dull parking lot look interesting. 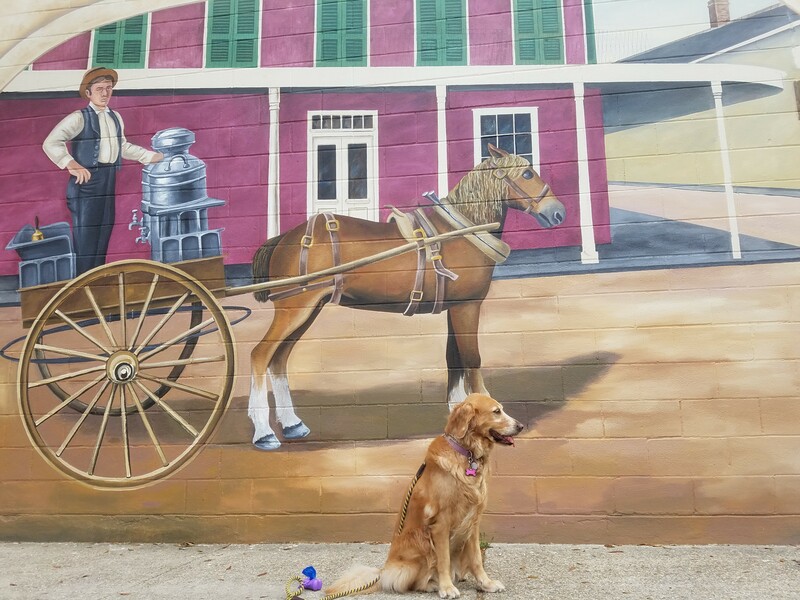 Our next stop was in Old South Baton Rouge, just outside of the downtown area. This mural is on an exterior wall of the old Habitat Imports building about a block off of a fairly main street in my hometown. My mommy and I pass it every other week on our way to the LSU School of Veterinary Medicine, where I do physical therapy for my hip and elbow dysplasia. We’ve admired this very large mural from afar, but we were completely blown away when we saw it up close. 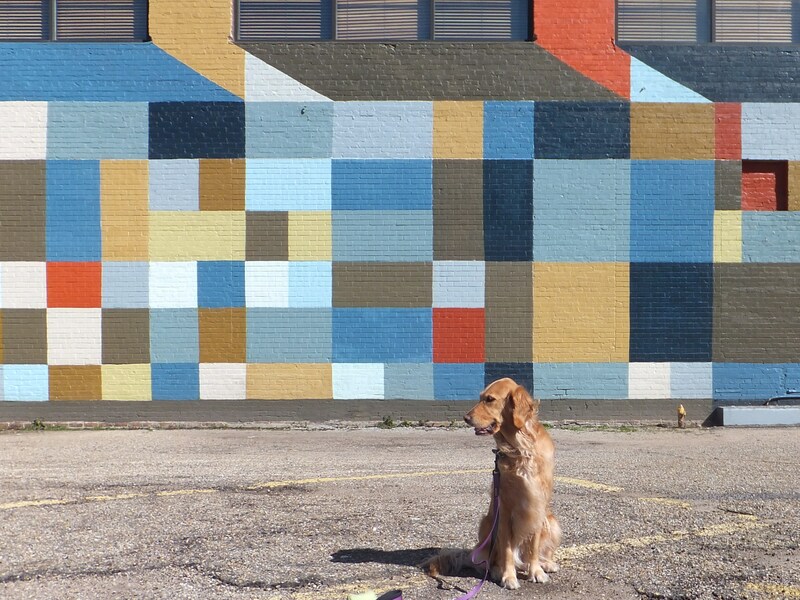 This was the first mural completed by the Museum of Public Art. 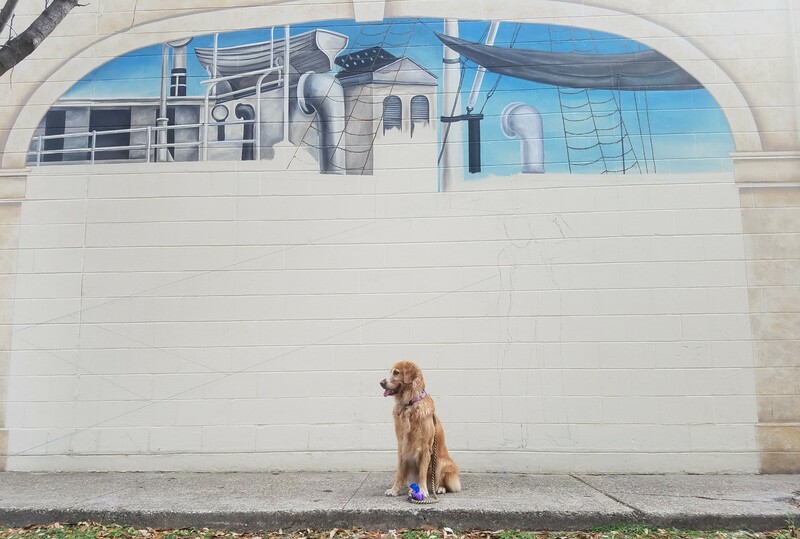 I absolutely insist (as only a Golden Retriever can) that you click here so that you can see the entire mural. This mural is called “Tribute to the Old School New York Graffiti Artists” and it’s another collaboration. New York City graffiti writers James Top, King Bee, and Part One tagged the top of the wall, which depicts the side of a subway train. 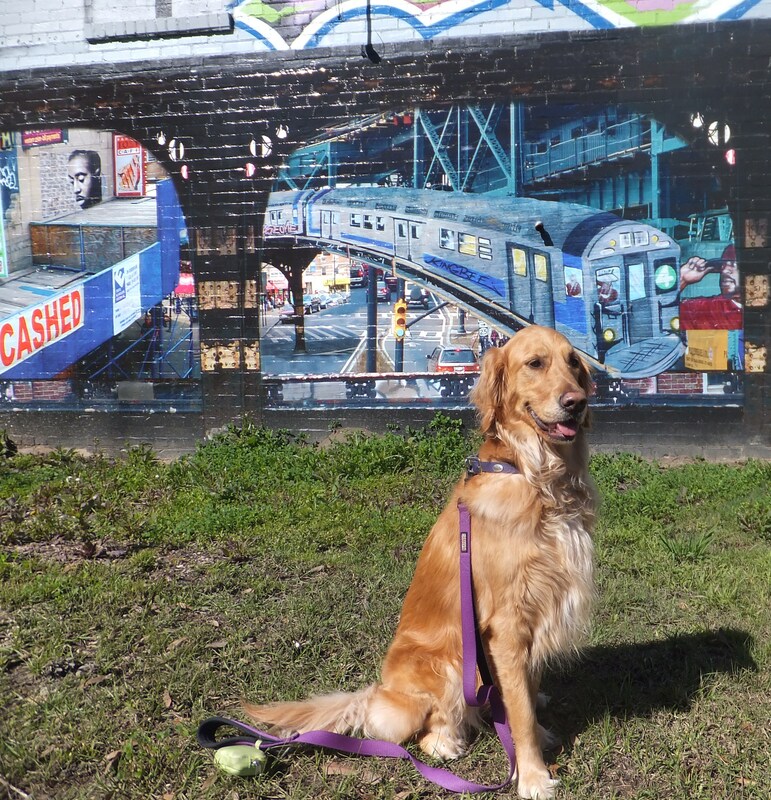 Dr. Kevin Harris, who created the Museum of Public Art, painted the bottom portion, which depicts the train trestles and graffiti on the walls of the station. It really is an amazing work of art that is accessible to thousands and thousands of people every day, day after day. 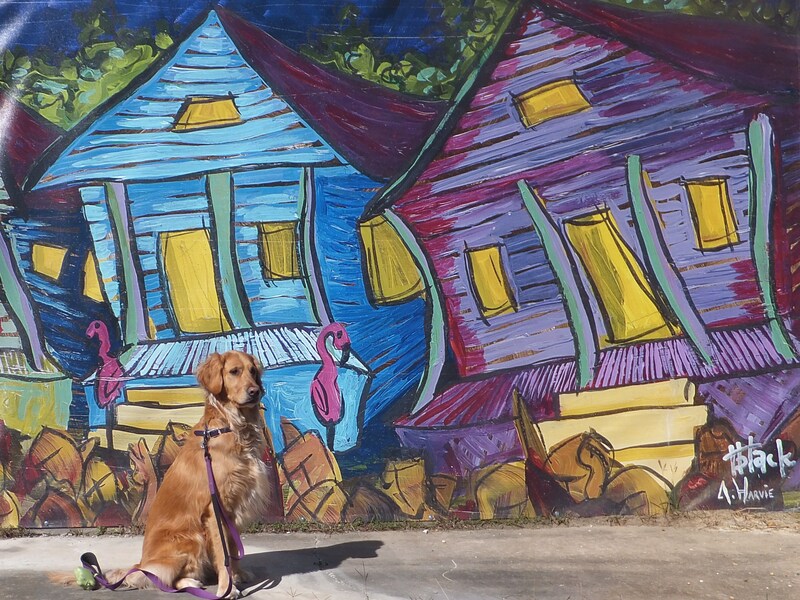 As we continued to travel away from downtown Baton Rouge, we passed through an area known as Mid City. Mid City has its own share of wall art. 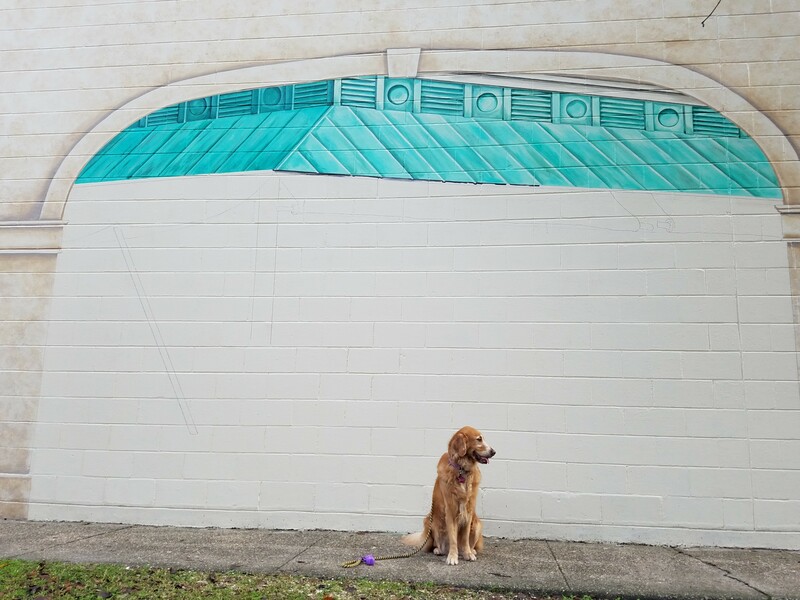 The photo above is of a section of a mural painted on the side of a vacant building. It was so realistic, I thought I could smell the cheese in the little shop behind me. 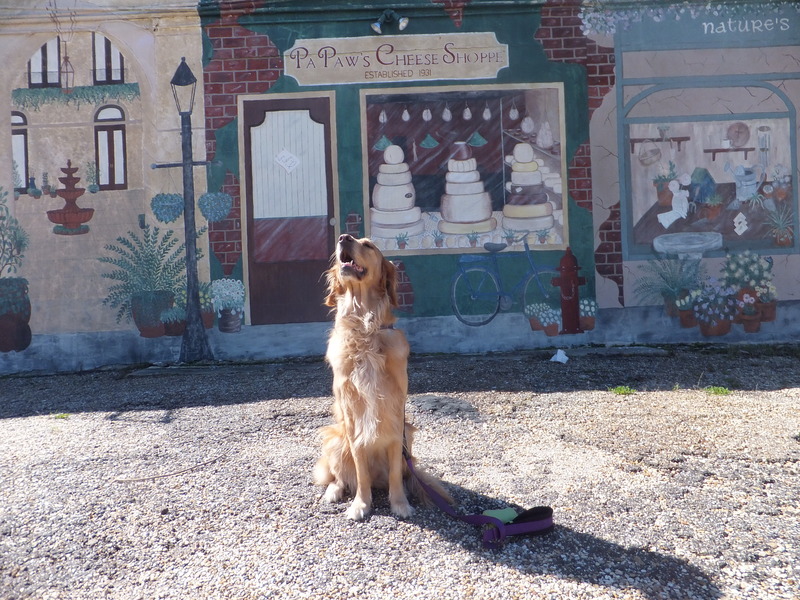 The mural above is on the side of the Jambalaya Shoppe. Do you feel like you’re in the South Louisiana swamp? I wonder if those ‘gators are having any luck with those fishing poles. These last two murals are on either side of the building that houses Denicola’s Furniture & Upholstery. 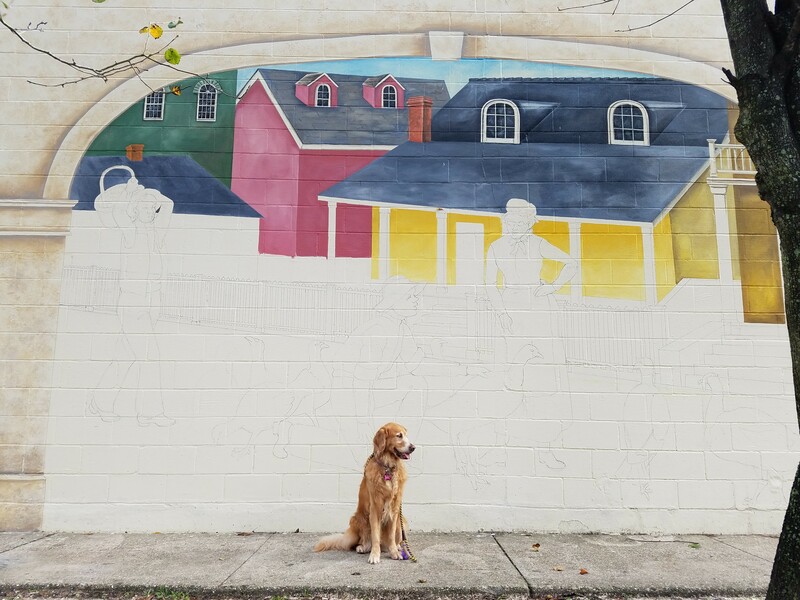 I am so glad that my mommy decided that my human daddy and I should join her in a quest to find wall art throughout Baton Rouge. I have no doubt that we have only touched the surface of our city’s public art offerings . . . and that you and I will be seeing more in the future. 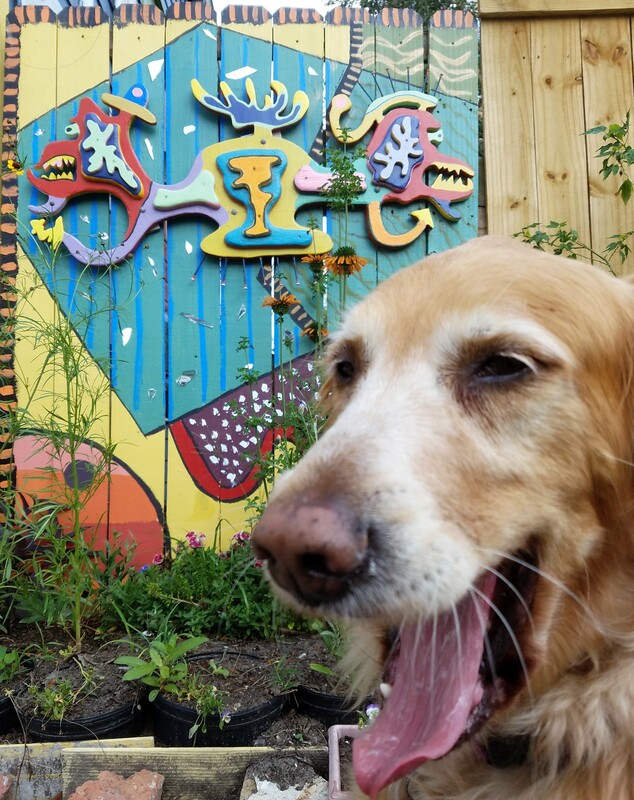 Who says a dog can’t be a connoisseur of fine art? I happen to love all things artistic. But there’s just one little problem: I’ve had more than a bit of a challenge locating an art gallery that will welcome me inside its prestigious doors. That’s ok. I’ve found plenty of art to enjoy in the great outdoors. 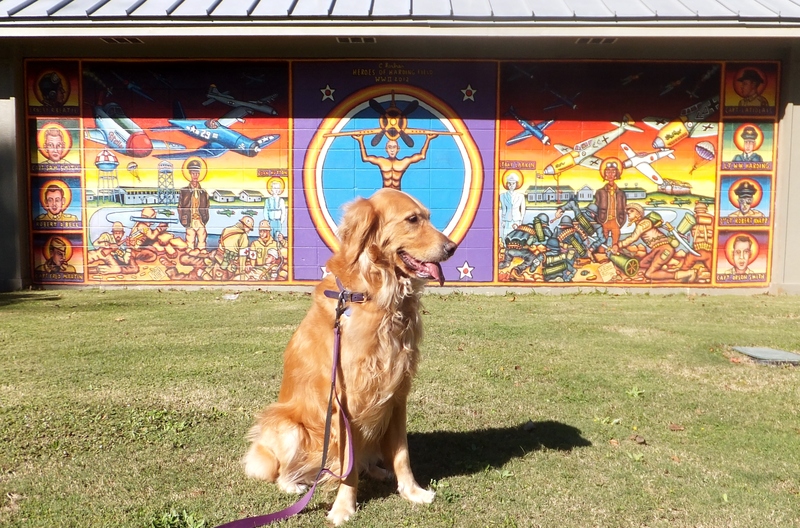 My human mommy and I spotted this mural when we visited the BREC Greenwood Community Park this past autumn. (Click here to read more about our Greenwood Park visit.) The site of Greenwood Community Park once served as a training base for World War II fighter pilots. The mural commemorates the service of those pilots and it was painted by Charles Barbier, a Vietnam War veteran and LSU alum. 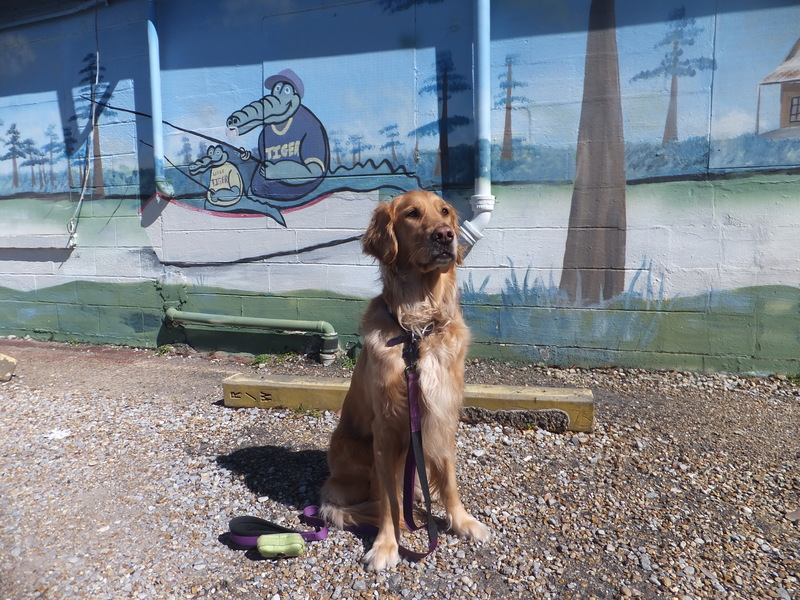 Click here to see other wall art that my humans and I have visited around Baton Rouge, and get ready for a “Wall Art, Literally 2” post in May. 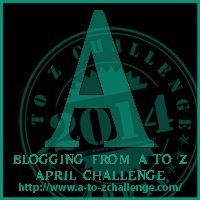 If you’d like to visit other pet bloggers who are participating in the Blogging from A to Z Challenge, check out the link below.